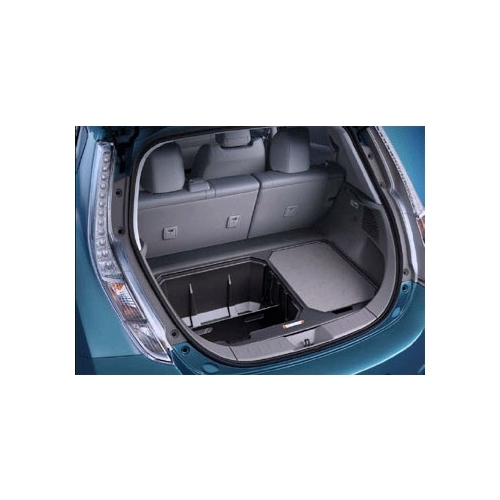 In a 2016 Leaf, there is a 4 inch gap between the organizer and the rear seats. There is a bolt included to secure it to the bodywork (requires removing trim). 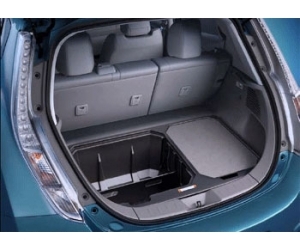 The maximum load is 150lbs.